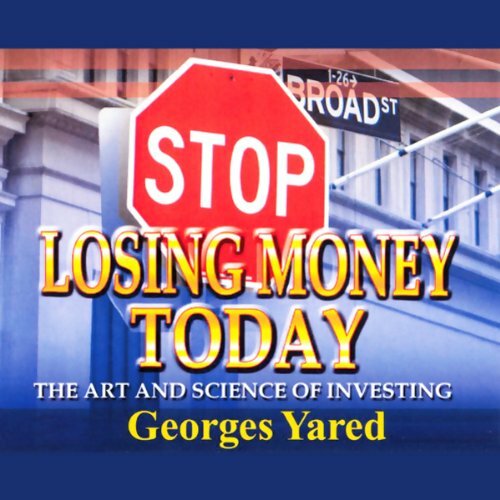 Showing results by narrator "Georges J. Yared"
Please enjoy this free excerpt on the importance of thinking independently from Stop Losing Money Today. I thought I was getting a free book. Please enjoy this free excerpt on emotional investing from Stop Losing Money Today. This audiobook offers 27 years of investing experience from a professional who has dealt with over 5,000 individual investors, over 100 professional portfolio managers, and 150 research analysts, and has traveled and advised over 200 growth companies. Georges Yared uncovers for you the investing tricks of the trade. No more guessing. Know how to identify great companies and how to be patient, or not, with an investment.